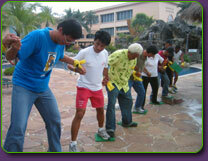 Action learning teambuilding programs for organizations in Singapore and Asia Pacific region. Our programs are flexible and designed to suit the learning needs of organizations and can be conducted indoors or outdoors, in Singapore or anywhere around the world. Through action learning initiatives, work groups can gain a greater awareness of the team dynamics and learn skills that that are relevant. 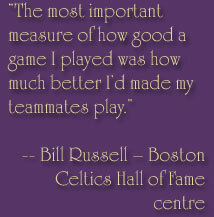 These will certainly be a positive contribution in the journey to be a high performance team. Here�s how our participants rated our programmes in 2006. 64% : �Excellent. Best programme we ever attended�. 21% : �Very good programme. Some very interesting activities and good learning�. 13 % : �Good programme. Did enjoy myself and did learn�.